The new Gripper Points™ are built on the solid foundation of our proven Grapple Point™. They keep all of the features of the original point while adding a revolutionary longer barb. This new barb features a beveled wing that twist off the side and wraps around the point’s body. The unique shape and bevel of this extension penetrate freely and add substantial “Grip” resulting in holding power previously unimaginable. Crafted with the quality that you expect from Innerloc®. This point will allow you to boat more fish. 3 9/16″ Barb holding circle. 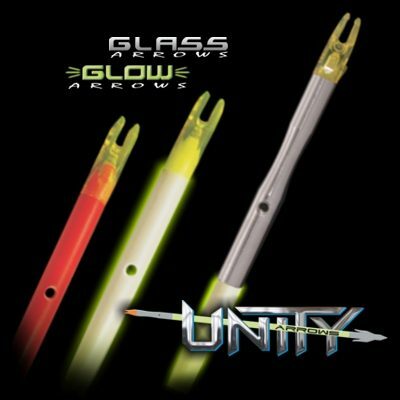 Our new Unity™ Arrows are a combination of a stainless steel rear section that permanently attaches to specially prepared premium fiberglass arrow blanks. 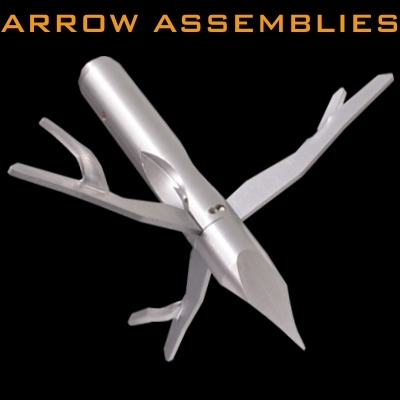 Unity™ Arrows feature Taper-loc™ a strong and secure crimped connection that provides a smooth transition. The strength of this connection makes possible a threaded slide stop hole into the stainless steel section. 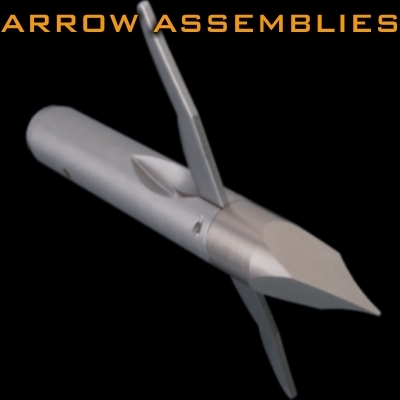 Moving the hole strengthens the entire arrow by eliminating the hole in the fiberglass. 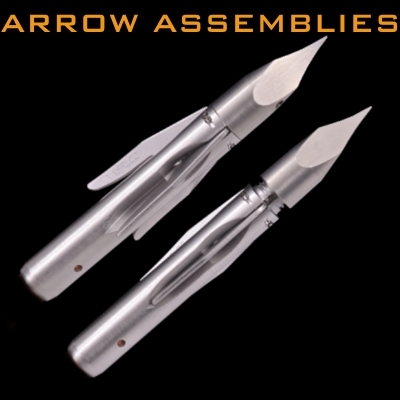 Designed with a large battery compartment to fit all lighted nocks. CNC machined from solid stainless steel. Available in Glow or Orange fiberglass. Patent pending. A) Slotted for ideal nock fitment. B) Room to fit all standard and lighted nocks. C) Strong threaded slide stop hole. D) Taper-loc uses reverse tapers to achieve a permanent connection between arrow blank and durable stainless steel rear section. E) Eliminates stop hole in fiberglass which is a common point of failure.